I am an inversion addict! I admit it. 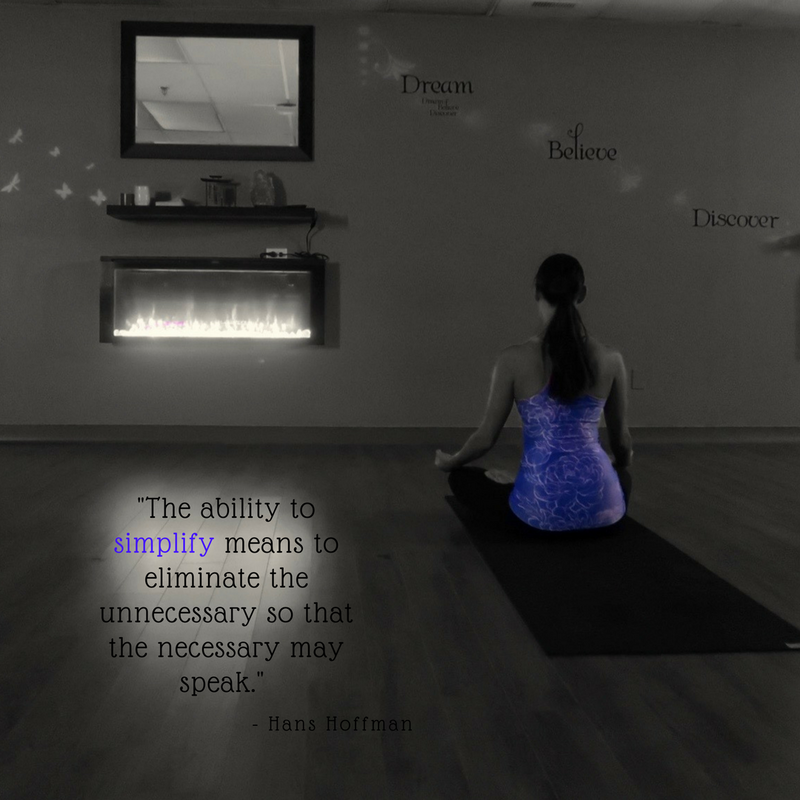 I understand and am committed to living in the awareness that yoga is more than a physical practice. For the most part, I endeavour to find balance between yang and yin in my practice and life, but some days life just happens, and I skip parts of my practice. However, it is rare for me to skip going upside down at least once during the day. Why? What are the benefits? I could give you the generic list that can be easily found through Google. Instead, I’ll tell you my inversion journey and story. So, . . . . . here it is! Beginnings are super exciting yet can also be paralyzingly scary. I get it! My mind loves to get involved (a bit too involved) before I even begin something. I want the excitement of something new, and the benefits that I envision RIGHT NOW! But, I get bogged down in the perceived details, the unfamiliar and the unknown, which sometimes prevents me from starting. This can happen when wanting to start a yoga practice. Having been approached for advice by a few people on how to get started with yoga, I've broken this beginning into three manageable steps. As I take time to honour the beginning of this new year, I reflect on my word for 2018 to let it sink in. I gave up new year's resolutions long ago and instead choose a word to shape my year to come. In the beginning, I actively chose the words to reflect what I wanted to create. These last couple of years, the words have simply come to me, and I trust that I'm intuitively setting myself up for a state of mind, way of being, attitude, etc. that for whatever reason I will be needing that year. This year has been a year that has asked me to step up. The last few years have been about a journey to come back to myself and discover, possibly for the first time since I was a child, who I truly am. I love learning, I love to explore, and I am most comfortable (for the most part) in the background. But, something about this year told me that it was time to come forward, time to share and time to be seen. Maybe every year I am called to do different tasks and just never heard them before. Or maybe I have heard the calls in the past, but what was being asked just felt too scary at the time. For whatever reason, this year I heard the definite call and despite the fear, I have had the strength to follow through. 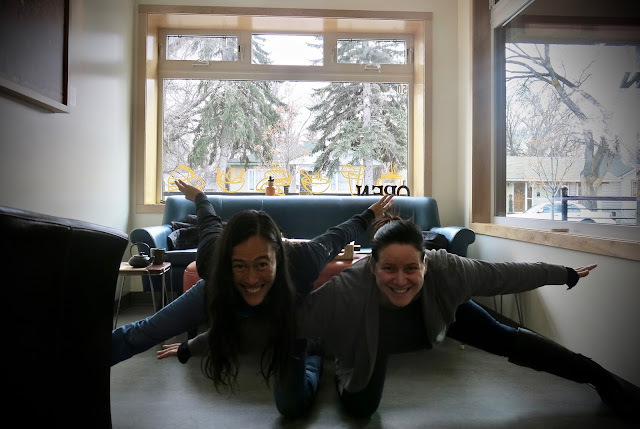 What yoga teachers do when they're not teaching at the studio . . . . . . have fun with yoga in other places! With just over a month until our teacher training at Yoga You4ia begins, I thought I would answer the question . . . . . Why take a yoga teacher training? I could give you all of the generic, general answers, but if you’re reading this, then I know that you have access to the internet and it’s easy for our friend Google to help you find those answers. Instead, I thought I’d share what motivated ME to do yoga teacher trainings. 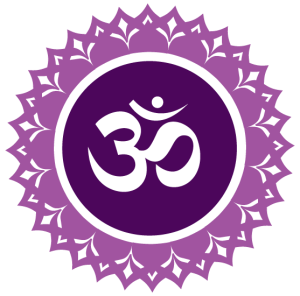 The crown chakra was the focus for this week's classes. This energetic centre is very much about finding your perfection, finding your truth, and finding your connection within and with yourself. My ongoing journey has very much been about coming back to a connection with myself. I will forever be grateful and indebted to my teacher David Goulet and my training at Pyramid Yoga. This is where it truly began for me and where it was emphasized that there is no guru greater than the guru within. David was there to give us the information, show us the techniques and have us experience what had worked for him, but if we discovered, through experience, that it wasn't right for us . . . . it wasn't our way . . . then we needed to let it go. It was one of the first times I experienced a teacher and teaching that didn't expect me to blindly follow their way and their system. I was taught and continue to follow the idea that things need to be experienced before I can determine if it is right for me or not. 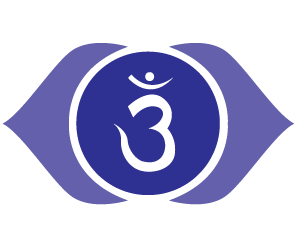 Ajna, or the third eye chakra, was the energy centre that we worked with in classes this week. As you can see from the symbol for this centre, there are two sides. In our dualistic world, there are often two sides to everything we experience - night & day, cold & hot, woman & man, two sides to a story. We concentrated on the dualistic nature of the body and mind. The left side of the body is controlled by the right hemisphere of the brain which is the imaginative, creative, intuitive, feeling side. On the opposite extreme is the right side of the body controlled by the left hemisphere of the brain which is the logical, analytical, fact based, thinking side. Two very different ways of perceiving and experiencing the world, but both sides are equally valuable and equally needed.